← what is art but nature concentrated? Wonderful… but also frightening after a hot summer like this. I like the idea of the trees stripping down to withstand the heat, like us. 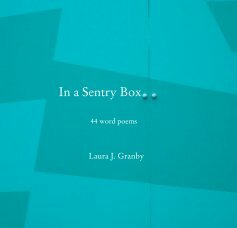 I enjoyed this poem, Laura. thanks Sherry – was a little wary of the anthropomorphism here! We have a series of jokes here in Richmond that begin: It is so hot that…the trees run around looking for shade. I am a child of the late fall/early winter. I will be glad when the heat leaves and the cool returns. There are thousands of them in Richmond. For example, one of many: It is so hot the lifespan of a popsicle is 3.5 seconds. that’s exactly what is happening in our garden. Personally, I can’t wait for the main event, when I can layer up in hat, scarf, gloves, boots. Ah – I don’t want to use the “A” word either. Summer is gone way too soon. feel I wasted it trying to stay cool but there are still 12 days left before the A word comes into use!